Adidas decided to add a little more madness this March. Starting with the conference tournaments and on through the NCAAs, three teams will look like they belong among black lights and glow sticks rather than the basketball court. Louisville, Cincinnati and Baylor all debuted neon uniforms made by Adidas during their conference tournaments this week. 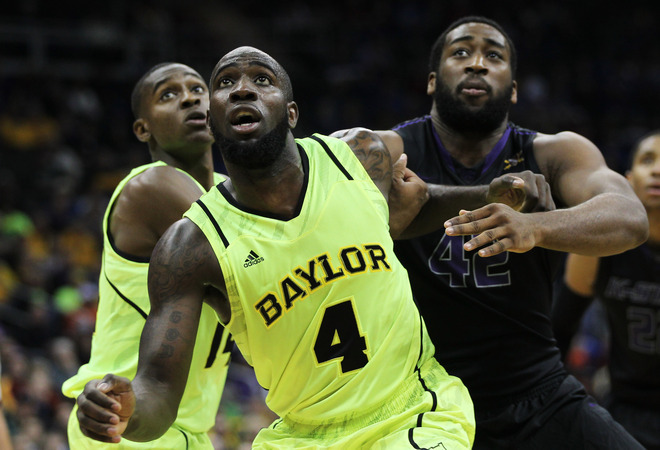 While all three are pretty stunning to the eye, Louisville and Cincinnati come nowhere close to the stunning uniforms Baylor used Thursday against Kansas State. 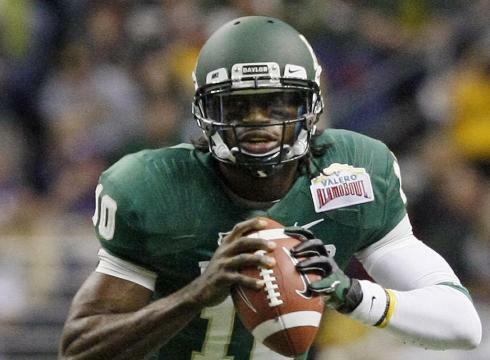 The Bears started causing a stir in the uniform world during football season, but nothing compares to the highlighter uniforms that stunned the crowd in Kansas City. 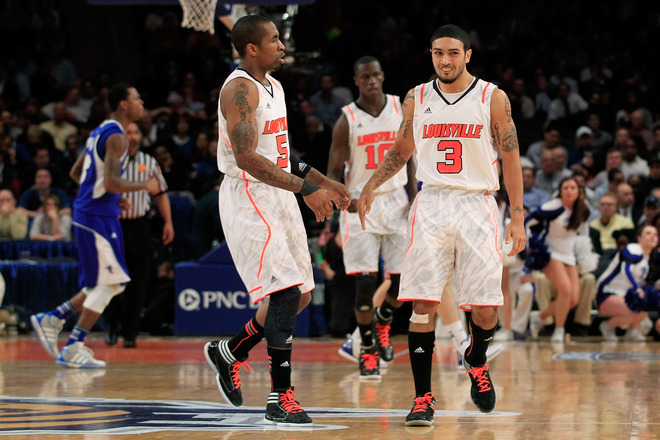 Louisville had the least noticeable neon in a victory over Seton Hall Wednesday night. The lettering on the uniform was the biggest shock. 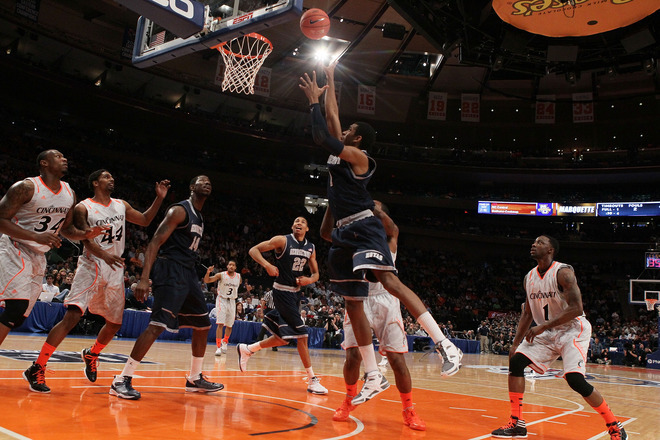 Cincinnati turned some heads with its bright red shoes and loud piping in a Big East quarterfinal against Georgetown. Overall, the uniforms aren’t the worst things in the world, and it’s good to see a bit of a stir caused from the college basketball world. So now that we have moved on from football, baseball is starting to come into focus, the NCAA Tournament is on the horizon and the NBA is moving along at a fever pace this season, I have to find something to get back in the blogging mood with a short entry here. For that, I’ll turn to an unlikely source … the golf course. It’s not often you see a golfer make much noise in the sports fashion world, outside of when John Daly is feeling like he needs to cause a bit of a stir. But in recent years, Rickie Fowler has come along with some vibrant colors to add some spice to the typical round of golf. With his signature bright orange as the primary color on Sundays, Fowler has been able to establish his name through his interesting color selection and ever-improving golf game. 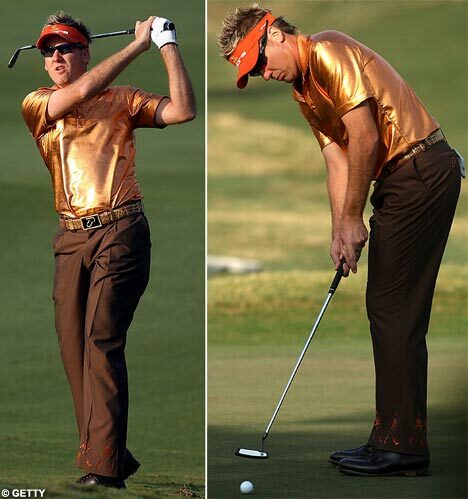 One thing to really like about Fowler is his color coordination out on the gold course. If he isn’t wearing one solid color from head-to-toe, he can find the right accents to bring out whatever vibrant color he is going with that round. Maybe it’s the surfer-dude haircut, but Fowler is able to pull off a look like would make Phil Mickelson look like a giant orange. The 23-year-old Fowler’s also become one of my favorite golfers to watch on the tour because of the different attitude and look he brings to the golf course.